We are highly Professional Fencing Company, We represent 3 of the biggest extruders in the industry, backed with superior knlodge of product installation and sales. Fencemen has been serving Regina and area for over 15 years. We are eager to enhance the look of your yard! Offering a wide range of products and services, Fencemen can not only look after your maintenance free decking or fencing, but create that fully custom wood deck or fence to compliment your modern or character home. We take pride in our work and look forward to creating a space you will be proud to show off. Having vast experience in PVC fencing, custom wood fencing, PVC and aluminum railing, composite and wood decking, we look forward to adding you to our long list of satisfied customers. The designs and styles are limited only by your imagination. Say hello to your new yard! Social enterprise for the North Central Community Association. All profits are used for community programming for the inner city community. Employees are North Central youth who need technical skills and practical work experience. Currently we focus on wooden fences, decks, wheelchair ramps, etc. and creating custom cedar gates and lawn furniture. Our ultimate goal is to help the local community of North Central meet some of the needs that exist within the community. Your Regina, SK fence installation and repair professional will work with you to create your ideal fence. Fence installation or replacement. 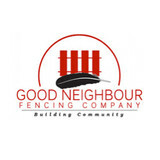 If you are in the market for a brand new fence, a contractor’s services will include walking you through various fence styles and materials, determining a suitable height, ensuring that all fence designs and plans are compliant with Saskatchewan building codes, and that the fencing meets both your stylistic and security needs as the homeowner. Fences and gates must complement the grade of your property as well as the type of soil you have, so the contractor should always plan around these considerations. Additionally, if you don’t know exactly where your property lines are, he or she can commission a survey for you. Find a fence contractor in Regina, SK on Houzz. 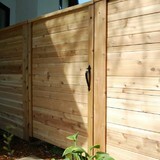 Narrow your search in the Professionals section of the website to Regina, SK fence contractors. You can also look through Regina, SK photos to find examples of fencing and gates that you like, then contact the professional who worked on them.